Your child is ready. Your young hero wants to charge into the fray, take down some bad guys, and protect the good people of your neighborhood. There's just one little problem! It's a bit too dangerous to be sending your child on real SWAT Team missions. After all, they haven't even finished elementary school yet! They could probably use a few practice missions before heading off to a real battle. 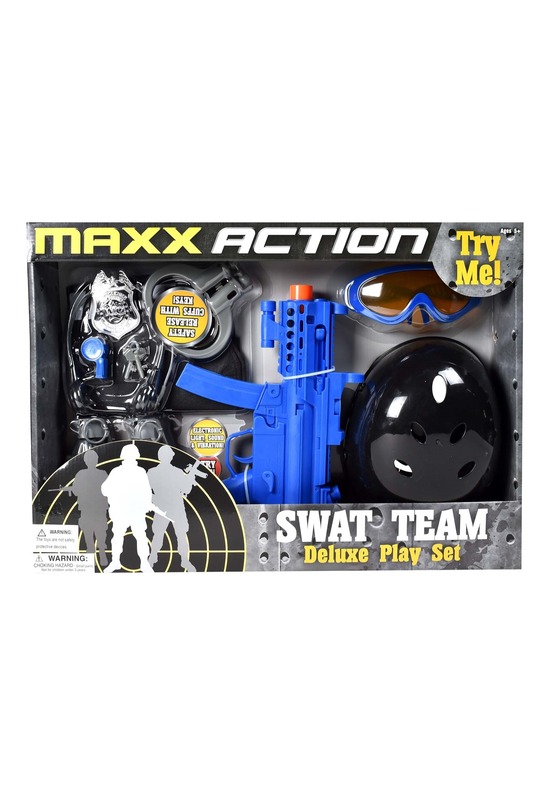 The good news is that this Maxx Action Commando Series SWAT Team playset will help your child with tons of pretend training missions! This set comes with everything your child needs to kickoff the next training mission. It has a molded plastic helmet that has an adjustable band and a chin strap. It comes with a toy submachine gun that makes real sound effects when you pull the trigger. 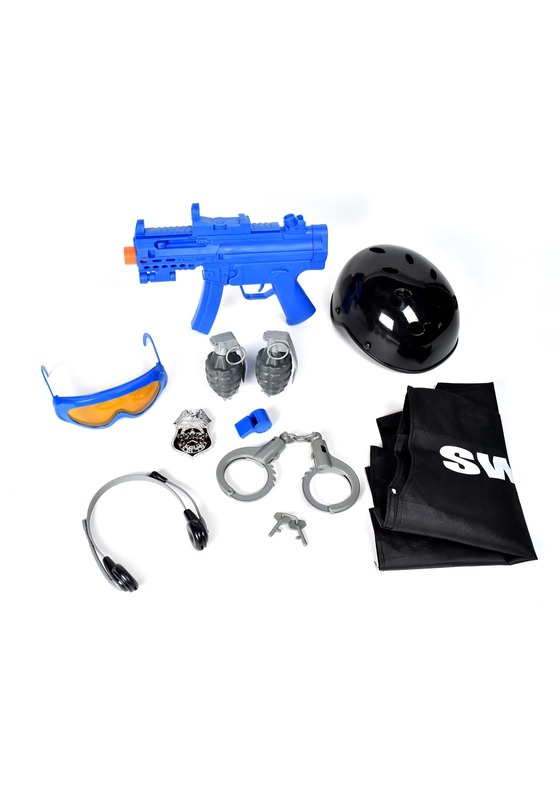 The set also comes with a pair of toy grenades, a set of handcuffs, a badge, a pair of sunglasses, a toy headset and even a black SWAT Team vest. Gear your child up with this SWAT Team playset and you can design a perfect practice mission for your young one in the backyard! Once they have a few of those under their belt, you might be ready to send them off to the police academy for some real training!